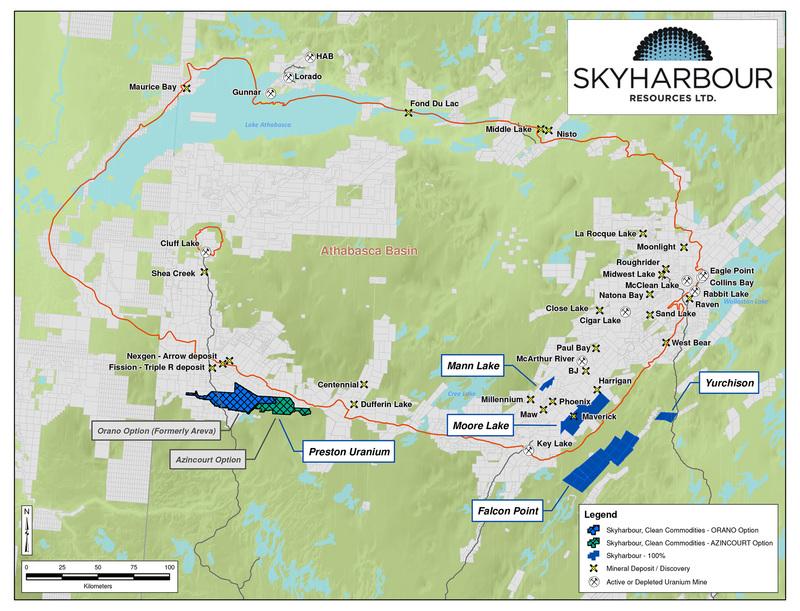 Vancouver, BC - Skyharbour Resources Ltd. (TSX-V: SYH) (OTCQB: SYHBF) (Frankfurt: SC1P) (the “Company”) is pleased to invite the investment community to the PDAC Conference in Toronto from March 4th to March 7th as well as the Uranium Night Reception following the conference on Monday, March 5th at the Lucky Clover Irish Sports Pub in Toronto from 4pm to 7pm. To RSVP for the Uranium Night Reception, please email: nfindler@sentinelmarket.com. Skyharbour’s management will be at the Company’s booth #2629 throughout the PDAC Conference and we look forward to greeting investors and conference attendees. You can register for the conference at: http://www.pdac.ca/convention/registration/registration-information. The Company’s President and CEO, Jordan Trimble, will also be giving a corporate presentation on Monday, March 5th at 3pm in the South Building of the Metro Toronto Convention centre in room 801B.